Reprint. This edition originally published: London: Edward Arnold, 1995. 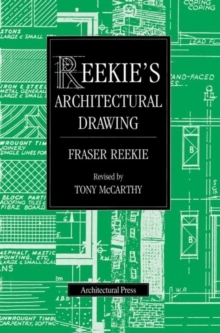 Reekie's Architectural Drawing is the new title chosen for the latest revision of the author's classic text Draughtmanship: Architectural and Building Graphics. The book remains faithful to its original aim of introducing beginners to a wide range of traditional techniques. Text and illustrations have been updated throughout and a new section on the application of computer graphics is included. Widely used and respected for many years, this is a handy compendium of techniques for students in construction related courses in further or higher education.